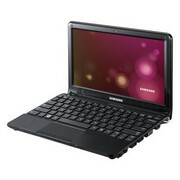 The Samsung NC110 is a very robust and good quality netbook that you can use for general computing and browsing. 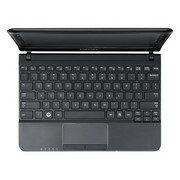 It is not the most powerful or aesthetically complex netbook in its price range and it does have a couple of weaknesses in performance and design. However, for just under $300, you will find that this notebook can already suffice your needs for a solid, high quality and desirable piece for your daily computing. Although Samsung arrived late in the netbook sector, it made quite an impact when it did get there with the release of the NC10, a landmark product in its time. 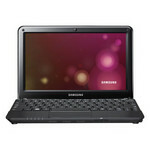 Although the Samsung NC110 doesn't do any better than the rest, it does at least as well. With higher battery life, it could have stood out from the crowd a bit more but, as things stand, it's still a netbook you can buy without worrying about making a bad choice. Battery life, on the other hand, was a different story in a positive way. We were able to get just over 7 hours of battery life, which is above the average for most other similar netbooks. The Samsung NC110 is a solid entry in the budget 10 inch netbook space. It’s not the most powerful mini-laptop around and it doesn’t have the highest resolution display or the longest battery life. But for under $300 you get a reasonably good keyboard, an adequate processor, quiet operation, decent speakers, and a matte display. For about the same price, you can pick up the HP Mini 1103 or Toshiba mini NB505, both of which offer slightly better performance and longer battery life. 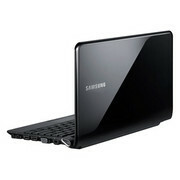 Still, those who like the Samsung brand won't be disappointed with the NC110. Standing out in any sort of market for budget products is never easy, and making every penny count is key. While some performance issues hold the NC110 down, this is the only netbook to offer strong battery life, 3D sound, and a useful Fast Start feature that will have you working—in Windows—in seconds. 70.17%: This rating is bad. Most notebooks are better rated. This is not a recommendation for purchase.